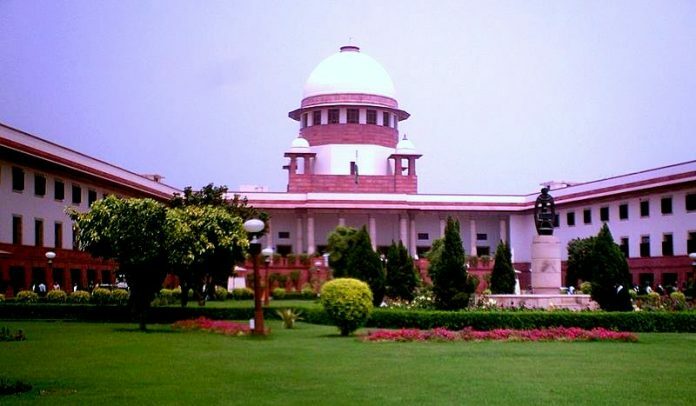 New Delhi: The Supreme Court Wednesday ruled that relying on reports of parliamentary committees as evidence in courts does not breach MPs’ privileges. A five-judge Constitution bench headed by Chief Justice of India Dipak Misra unanimously held that the judiciary will not be stepping on the powers and privileges of Parliament by examining these reports. Justices A.K. Sikri, A.M. Khanwilkar, D.Y. Chandrachud and Ashok Bhushan were also part of the bench. Although, the judges ruled unanimously, there were three separate rulings. Sikri and Chandrachud, however, clarified that the validity of the report of a parliamentary committee cannot be called into question in the court, and no MP or person can be made liable for what is stated in the course of the proceedings before a committee or for a vote cast. The ruling now puts the spotlight back on a public interest litigation seeking a probe into clinical trials for cervical cancer vaccines conducted in Andhra Pradesh and Gujarat on tribal girls, allegedly flouting regulatory norms. The case involves pharma giants and the Bill and Melinda Gates Foundation. The government and pharma companies had raised questions on whether the committee reports could be referred to. A two-judge bench had paused the hearing and referred the case to a larger Constitution bench to decide this issue. The government had argued that speeches of MPs on the floor of the house and reports submitted by them could not be judicially reviewed, especially in a PIL. Attorney General K.K. Venugopal had argued that by “allowing contest and criticism of the report would definitely create a stir in the constitutional balance”. “History and contemporary events across the world are a reminder that black-outs of information are used as a willing ally to totalitarian excesses of power,” the court said in its ruling. Litigant Kalpana Mehta’s lawyers relied on two joint parliamentary standing committee reports that indicted government officials, the Indian Council of Medical Research and PATH (Programme for Appropriate Technology in Health), an organisation funded by the Bill and Melinda Gates Foundation, for allegedly unethical clinical trials. In 2013, the parliamentary standing committee on health and family welfare submitted its 72nd report — alleged irregularities in the conduct of studies using human papilloma virus (HPV) vaccine. Colin Gonsalves, senior advocate appearing for Mehta, had argued that these programmes were conducted in 2007, while the vaccines were only approved later.